Overall degree of link density for processes inside a business model is essential but rarely discussed measure of integration and stability of business as a whole. Cascading process links with progressive nested dependencies further complicate and potentially delay positive process outcomes. To correctly estimate true potential of process improvement, business analysts should never consider any process standalone but only in the context of its interaction with other parts of business model. Automating a process alone is as artificial as running a single department without the whole company in place. Preparing to enterprise automation, always begin with the study of business dependencies. Density of links in a model can be objective and inherent to business. In this case it is not so easy to change voluntarily. Density of links can be also a distinguishing factor expressing business identity. By analogy with chemistry, there can exist many entirely different chemical substances composed out of exactly same base elements. 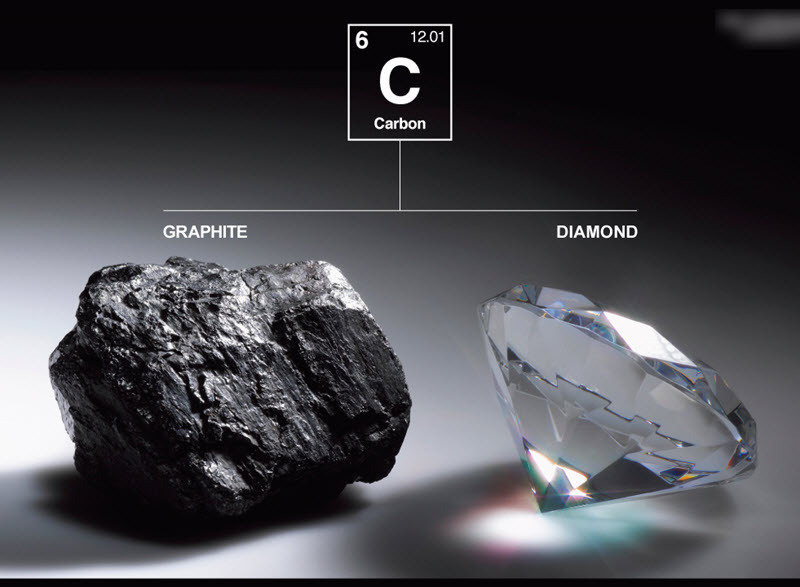 For instance, coal and a diamond are just different arrangements of one and the same carbon composite. Drastic difference in properties is just a result of different links between atoms inside. In the same way, structure and quality of links inside an organization may alone well make it a coal or a diamond.